On August 21, Latvians celebrate passing of the Constitutional Law on the Status of the Republic of Latvia as a State and Actual Restoration of the Republic of Latvia. It is an official memorial day, but not a non-working public holiday. Latvia first became an independent state in 1918, following the collapse of the Russian Empire and the defeat of Germany in the First World War. However, its independence did not last long. In 1940, the territory of Latvia was occupied by the Red Army as it lied within the Soviet sphere of influence according to the Molotov-Ribbentrop Pact. When Mikhail Gorbachev started to liberalize the communist regime in the 1980s, the independence movement in Latvia began to gain momentum. On May 4, 1990, the Supreme Council of the Latvian SSR adopted a declaration restoring independence. However, the independence of Latvia was fully restored on August 21, 1991, when the imminent dissolution of the USSR became clear after the failure of the August Coup in Moscow. In addition to the memorial day that celebrates the restoration of Latvia's independence, the Republic of Latvia has two public holidays related to its sovereignty. 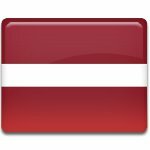 May 4 is Restoration of Independence Day, and November 18 is Independence Day in Latvia.